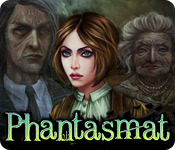 Phantasmat is rated 4.6 out of 5 by 143. Rated 5 out of 5 by yummipeach from Storyline should be 10 star rating This is the game that made me get into the Phantasmat series. I started it with just the intention to play a hidden object game, and boy was I blown away. The story itself was full of suspense and had a huge twist that was unexpected to say the least. I loved this game and look forward to any other games that the developer decides to release. Highly Enjoyable! Rated 5 out of 5 by EzgiMelody from Great Game ! Enjoyed every minute of this game and story line impressed me too much. Nice and dark atmosphere, mysterious characters. Thank you Big Fish. 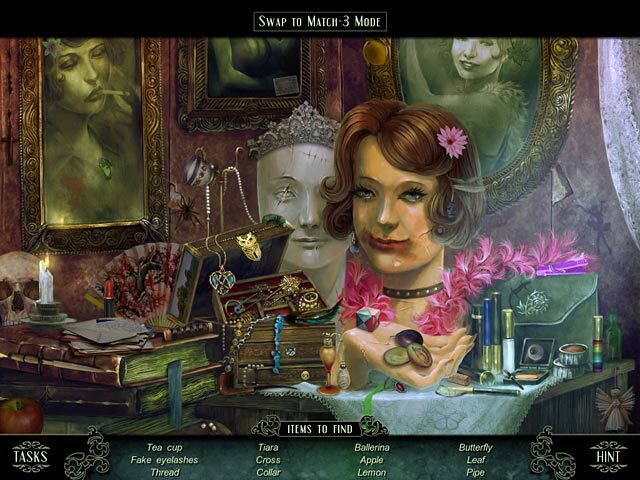 Rated 5 out of 5 by 2020moonlanding from My Beginning Phantasmat was the beginning of my love for hidden object games. It's charming in its simplicity. I have played this game over and over. Will continue to do so. Rated 5 out of 5 by RavenCorbie from Phantasmat Review This is a review of Phantasmat, Standard Edition for PC, which I completed on 03/03/2016. GAMEPLAY: There isn’t a lot to say about the game play. It mostly consisted of HO scenes, which I enjoy. There were some puzzles that were, on average, pretty easy to figure out. The main difficulty was in knowing when you had to go back to a previous area to find something, and there was one puzzle in the middle of the game that I didn’t figure out. I ended up looking up the answer on the walkthrough, and even then, I wasn’t really sure why that solution worked and a similar one I had tried didn’t. The fact that there were no instructions for any of the puzzles compounded that difficulty. STORYLINE: The storyline was wonderful. I really enjoyed learning about the different people at the hotel, and exploring the different locations. Everything felt natural and logical, except for the very end. I won’t spoil it, but I think considering the three other characters, what happened to the main character didn’t quite make sense, especially in light of how the character ended up at the hotel in the first place. OPTIONS: This is an older game, so it’s missing some features I’ve come to enjoy in newer games. There are three difficulty settings, and no custom difficulty. In HO scenes, you can switch to Match-3 instead. Since I love HO scenes, I never tried out that option. AESTHETICS: Excellent considering its age. Some of the scenes are dark and blurry, but that’s likely due to the age of the game. There are some very creepy scenes, particularly one with discarded dolls. The music was okay, but somewhat repetitive. The voice acting was very good, particularly that of the girl. The main character is not voiced, which is my preference. The appearance of the three other characters was good, too. LENGTH/VALUE: It took me quite some time to play through the game, but it never felt frustrating or tedious. Good value. Final Assessment: I enjoyed this game quite a bit and I recommend it. CE or no? I did not have the Collector’s Edition, and I did not feel like anything was missing. They even have trophies for the non-CE version, which is nice. Rated 5 out of 5 by darienamber9930 from Played this game twice so far! The puzzles aren't very challenging but I love the atmosphere of this game, the story, and the music. I wish the other sequels were more like this one, it's definitely considered one of my favorites! Rated 5 out of 5 by CajunJuJu30 from Great Story This game was outstanding. The graphics were just right for the style of the game, the switching from HOG to Match 3 was a great idea, the creepiness of the game was perfect. Only played the SE and plan on getting the CE just to see the back story on the three main characters. Just an all around awesome game. Rated 5 out of 5 by JulzCat from Three Mysteries in One!! 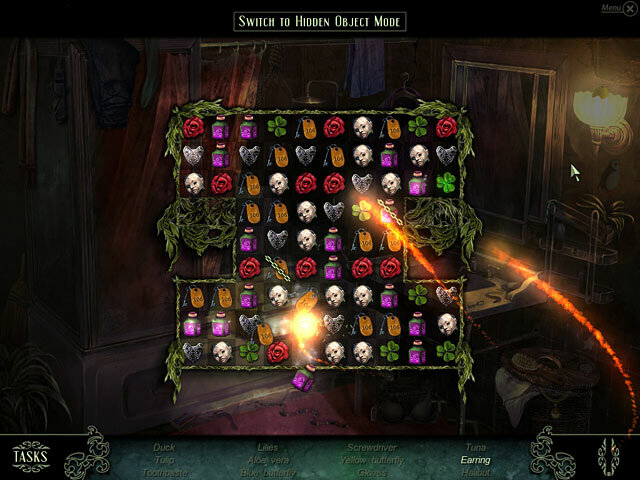 In this game, you get to solve 3 different ghost stories, so it's definitely more bang for your buck! I enjoyed the rooms shifting between past and future, and the effects of the water in the distance. My only criticism would be the lack of map. The monologues ran on a little long, but you can skip those and they'll summarize for you. Was lots of fun! Rated 5 out of 5 by puppymonkeymommy from The Ultimate Game: No Better!!! The Best Game I have Ever played for many reasons! I have bought and played almost all of the hidden object games in the past 5 years and this is still my favorite! Rated 5 out of 5 by eminemily101 from I can't think of a title! I played all 3 game plays in one day. I got very into the game and I got the one hour demo before the full version, so I knew a little bit about it before I got it. I don't like Match3 but I thought it was a good feature for a hidden objects game to have. It has a great storyline and I actually cared about the people in the game. I definitely would play this again. I stayed up almost all night finishing all 3 game plays and it was worth it. 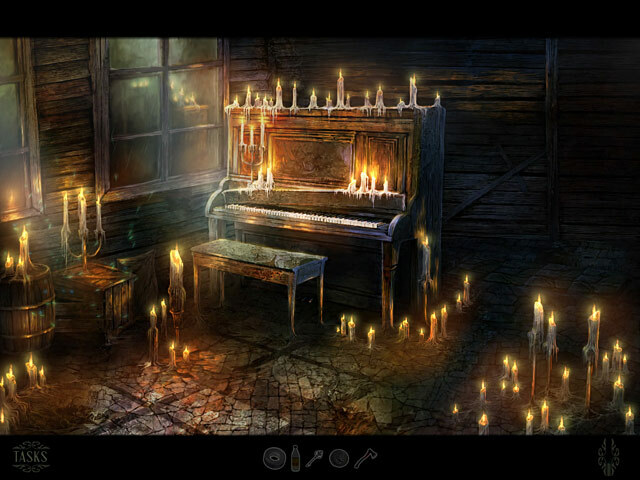 The music was perfect for the game and the horror/hidden object combination really got my eye and that is why I got it. While there were some small bugs that could be fixed, it was an all-around enjoyable game.